Unquestionably, that’s the right place to put it, even if most audience members probably arrived at Saturday night’s world premiere thinking they were about to see a documentary, and left two hours later wondering what the hell they’d just seen. “Houston” acts like a doc but works as myth, not fact; director Ziga Virc doesn’t want audiences to believe what he’s telling them so much as he wants them to think about why they’re so ready to accept any kind of tomfoolery and conspiracy the media puts in front of them. It’s a funhouse-mirror experience that undoubtedly left some baffled festivalgoers wondering just what to believe — which, Virc admitted in a post-screening Q&A on Saturday, is exactly the point. Personally, I’d say that the phrase docu-fiction implies more docu than “Houston, We Have a Problem” actually delivers. 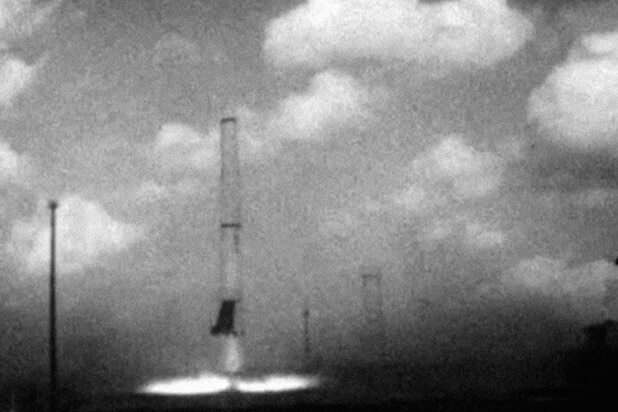 It uses archival footage, much of it legitimate, as well as newly shot material of questionable provenance to advance the story that a faltering NASA bought the promising Yugoslavian space program lock, stock and barrel in the early ’60s, paying billions of dollars and indirectly leading to the dissolution of Yugoslavia a few decades later. 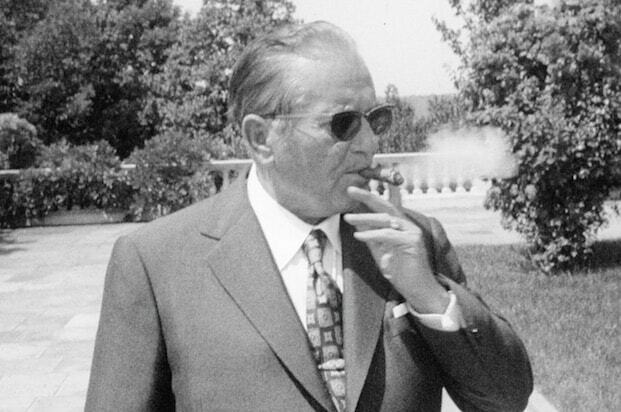 Make no mistake, “Houston, We Have a Problem” is a grand fake, in which even an awkward (and legitimate) recorded phone conversation between U.S. President John F. Kennedy and Yugoslavian President Josip Broz Tito can be taken as evidence of tension over the “fact” that the U.S.A. overpaid $2.5 billion for a boatful of Yugoslavian blueprints and rocket parts. Virc refused to tell the Tribeca Film Festival audience what was real and what was phony in the Q&A, leading to a few exchanges with audience members who clearly bought the premise. But he eventually fessed up, sort of: “I wanted to tell the symbolic story of the rise and fall of Yugoslavia,” he said. And hey, it’s no big deal if that symbolic story involves pretending that his former country faked the deaths of three dozen scientists it then shipped off to Houston, or advancing the proposition that the Yugo automobile was an ill-fated attempt to make amends for the Yugoslavian scientists’ lack of contributions once they got to NASA. It’s all very entertaining, even if it’s about as factual as “This Is Spinal Tap.” But come to think of it, “Spinal Tap” told us a lot more about rock ‘n’ roll than most “true” rock ‘n’ roll movies. Short film "Sens" is the first project to adapt a graphic novel into a virtual reality. "Sens" leads viewers on a black-and-white journey, in which the point of view alternates between exploring a strange landscape through the main character's eyes and floating above the character, watching him do things like grip an edge of a cliff. "Deep VR" combines a underwater fantasy world with a specialized belt the viewer wears around the waist, which monitors deep breathing. You control your movement in the experience by breathing in and out deeply, causing an initial rush of oxygen to the brain followed by a Zen-like meditative calm as you continue to play. "Deep VR" is set in an underwater seascape, and is meant to explore the ways in which VR can change our relationship with both body and mind. "The Turning Forrest" is a virtual-reality tale that takes viewers on a journey with a fantasy beast. At the Tribeca Film Fest's main hub, the creators bring viewers into hut before immersing them in the experience. "The Turning Forrest" is a fully computer-generated movie, but the creators combined the viewing of it with a rumble pack that viewers wear to feel percussions that match the action. 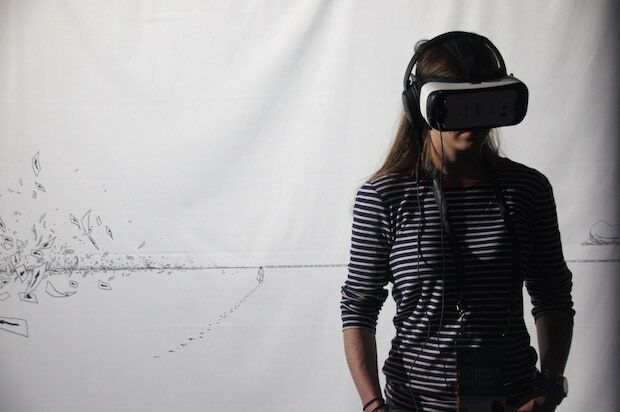 "Notes on Blindness" is a VR film that images the internal visions of John Hull, who -- after losing his sight in 1983 -- began recording an audio-diary documenting his discovery of “a world beyond sight.” His original recordings form the basis of this interactive experience, which uses real time 3D, virtual reality, and binaural sound to explore the interior world of blindness. "6X9: An Immersive Experience of Solitary Confinement" attempts to explain the effects solitary confinement of prisons, people who spend 22-24 hours a day in their cells, with little to no human contact. "6x9" put virtual-reality viewers inside a cell, to hint at how the sensory deprivation prisoners live with can cause psychological damage. Tribeca’s Opening Night Film Asks: Can Kim Kardashian’s Booty Be Art?